Welcome to the Carl Black Chevrolet Buick GMC Orlando finance department, where we provide assistance with all of your auto loan and car lease needs. If you’re choosing between buy vs. lease, we can help you understand the pros and cons of each to find the best finance plan to suit your lifestyle and your budget. Have a vehicle you’re trading in? Check out what it’s worth before you visit us to buy your next new or used car, truck, or SUV. All types of credit can qualify for an auto loan. No credit, no problem! We will work with you to secure a no-credit car loan if your situation demands it. 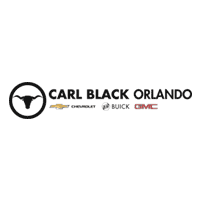 Carl Black Chevrolet Buick GMC Orlando has strong relationships and is committed to finding you the perfect car financing company to meet your car finance needs. Low-interest car loans are also available for customers with existing loans. We can help you refinance your car loan or adjust the term of the contract. Be sure to check out our online auto loan calculator for an instant car loan rate, and start the car-buying process by filling out a finance application online.